Igloo visualisations bring your architectural, engineering, and construction design concepts to life. 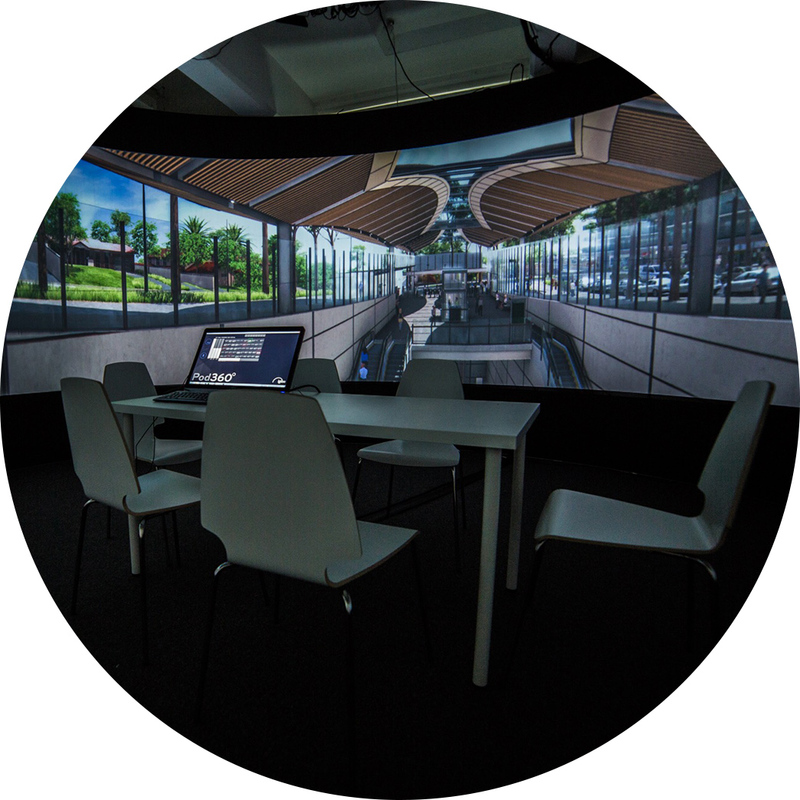 If you create 3D, CAD, CGI or BIM content, use 360° films or fly-throughs, or want to show clients or stakeholders how your finished concepts will look and feel, Igloo is a fully-immersive, highly-engaging, surprisingly-affordable visualisation platform. With Igloo visualisations you can stand right inside your BIM, CAD and CGI design models. So, you can explore yet-to-be-built developments. You can demonstrate spatial dynamics. And you can effectively present your projects to clients, colleagues and other stakeholders. Show exactly how your concepts will look and feel. Answer detailed planning questions with life-like demonstrations. Win over community and stakeholder groups. 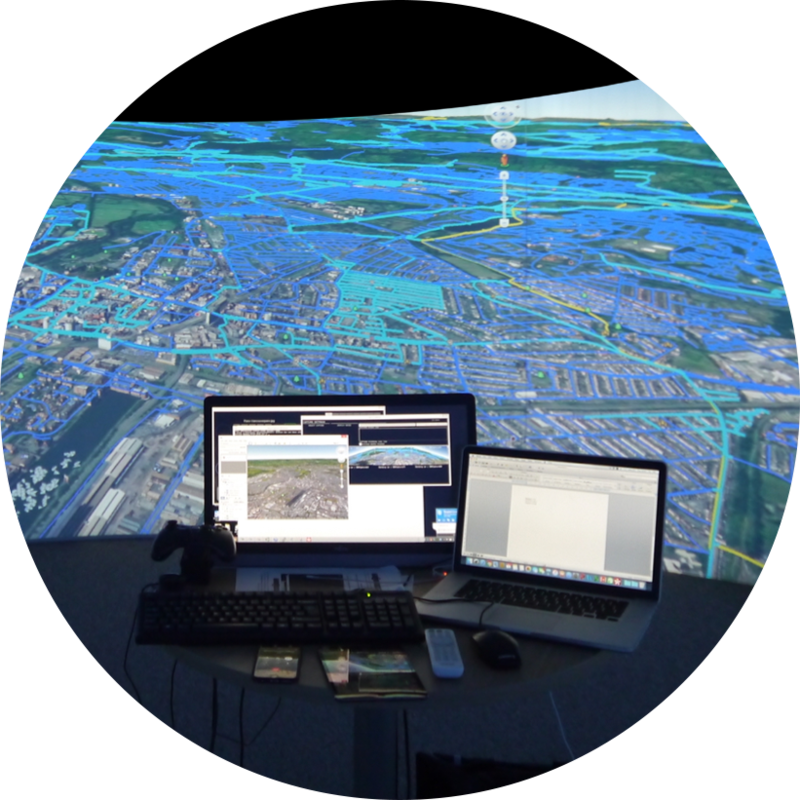 Experience spatial interactions and complex dynamics, and spot potential issues. Bring all your teams together – design, engineering, clients and end-users. Get clients and stakeholders on board with your initial ideas and concepts. Work through the details of the plans, the sightlines and the spatial dynamics. Brief construction teams, plan schedules and work through any adjustments. 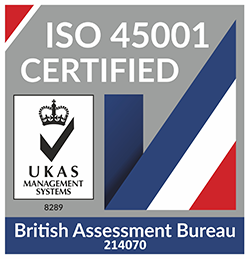 Improve training and enhance facilities and asset management. With Igloo, you’re not tied down to a single tool or service provider. Our flexible systems give you the freedom to use the tools you are already familiar with in your everyday workflows. Even when working with very large BIM models, encompassing thousands of rooms and sophisticated mechanical, electrical and plumbing (MEP), the Igloo system handles it without breaking a sweat. Meanwhile, our straightforward, easy-to-use software means that you don’t need onsite technical support, or even to be that proficient with CAD. Instead, you get immediate value from your Igloo investment. And, of course, if you ever need help or guidance, our technical support team is only ever a phone call away. In contrast to VR headsets, Igloo is a shared experience – which makes it ideal for many data visualisation applications. Your teams and clients can all look at the same thing at the same time. You can make and read eye contact with each other. You can switch between the context of a team meeting and the virtuality of a 3D visualisation. 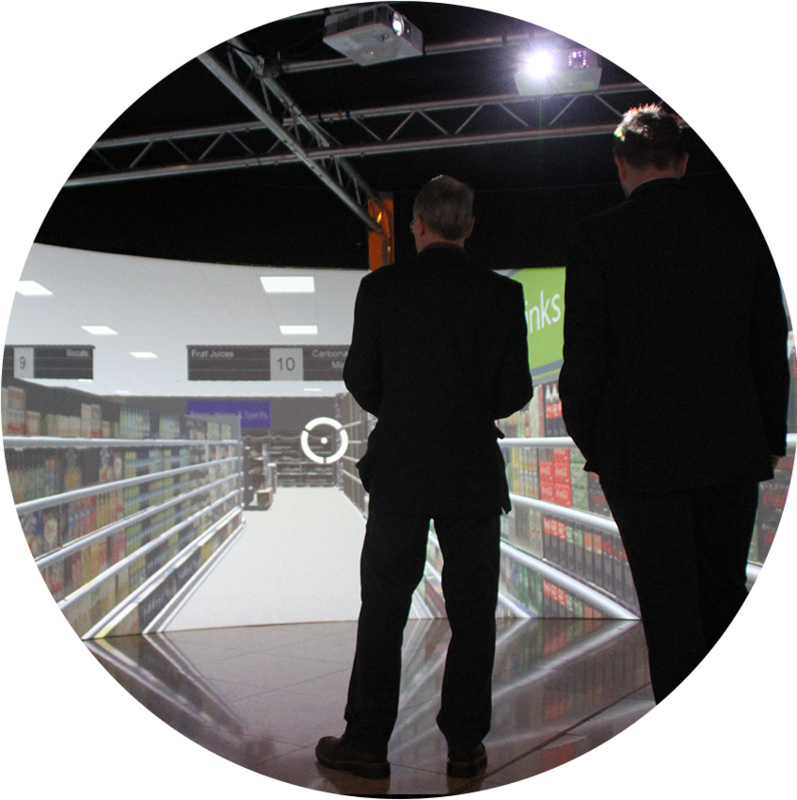 With a wraparound 360° horizon, our projection cylinders are an ideal visualisation tool. Unlike many BIM caves or cubes, Igloos don’t have corners, so don’t suffer from annoying distortions. And, in contrast to flat or curved-screen systems, you can step right inside your visualisations. It is easier and more intuitive to understand spatial dynamics, including scale, shape, location, distance and direction. Information can therefore be assimilated more quickly and effectively. Igloo eliminates the need for team members to huddle uncomfortably around a single screen. Instead, they can collaborate and interact more easily, drawing each other’s attention to details and taking full advantage of the so-called field of regard (FOR). An entire panoramic, 360° image can be displayed. So instead of being preoccupied or distracted by a portion or selective view of the data, it can be seen and comprehended in its entirety. With a huge screen area, it is possible to display and integrate various types and sources of information (such as icons, windows, text boxes, and glyphs). So a variety of information can be assimilated and cross-referenced more quickly and effectively. Igloo can integrate industry standard visualisation tools like Revizto, Lumion or Solibri. 3D data from tools like Revit, Navisworks and Sketchup can be visualised in the Igloo in a matter of minutes at the click of a button. Or we can build dedicated model importers and functionality. Also 360° images, videos or CGI can be layered and displayed (by dragging and dropping them into the Igloo Media Player). And photogrammetry and laser scans can be easily added. A growing range of visualisation platforms is available. Each of them has its own particular characteristics. So what about an Igloo? How is it different? Or better? 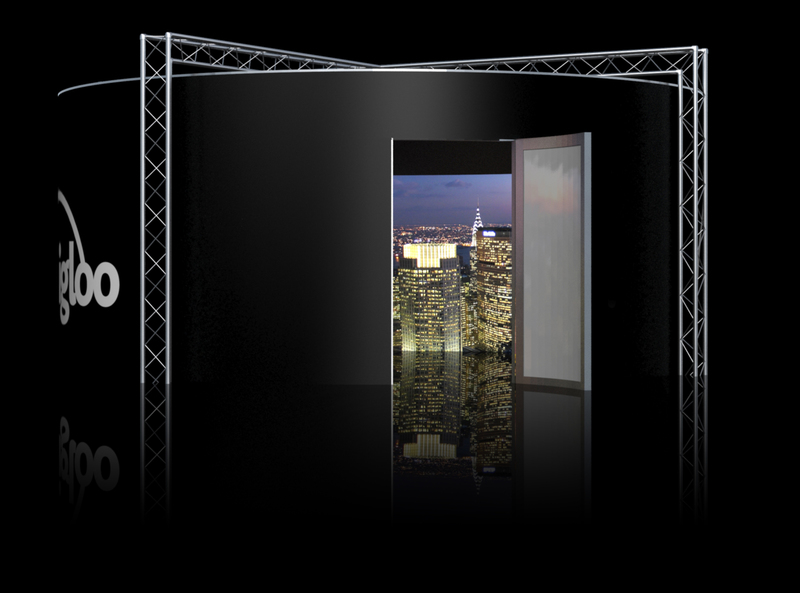 Igloo delivers HD quality, 3D-capable projections, coupled with studio-quality surround sound. So you get a natural horizon, with no distracting corners, and no distortion. 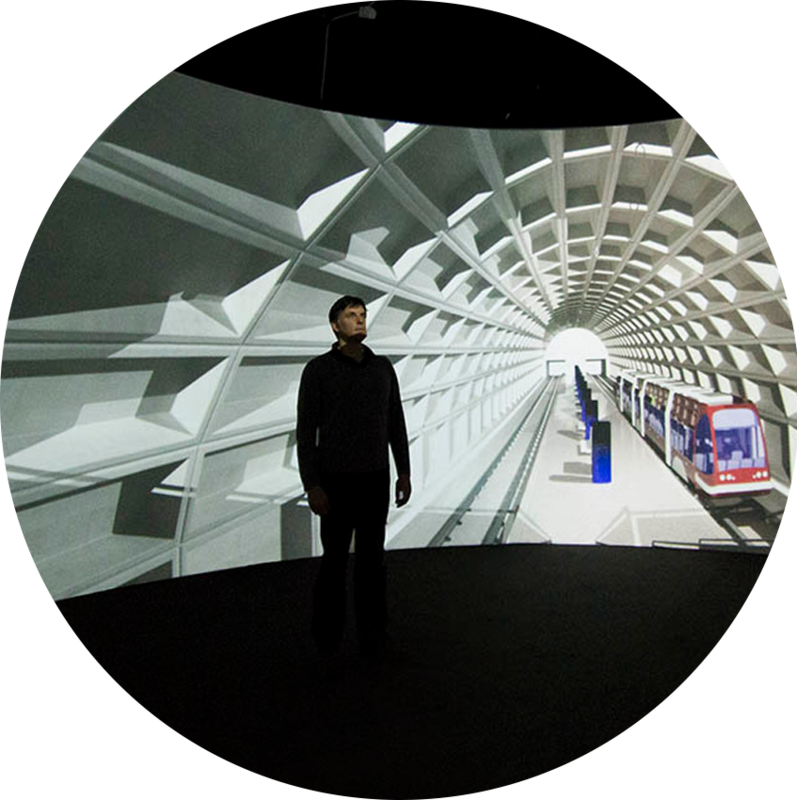 Many immersive environments are single-use systems. Not the Igloo. It is largely a software-based solution and is compatible with practically any content. So it can be used as a simulator one day, a visualisation platform the next, and a stakeholder engagement tool the day after. The Igloo environment is ideal for collaborative teamwork and can accommodate any number of team members. You can easily bring together people from multiple disciplines and it is also a perfect solution for stakeholder engagement. An Igloo is highly portable. One can be erected almost anywhere. And it can easily be transported from one location to another. It is not unusual for an immersive environment to cost in excess of $1 million. 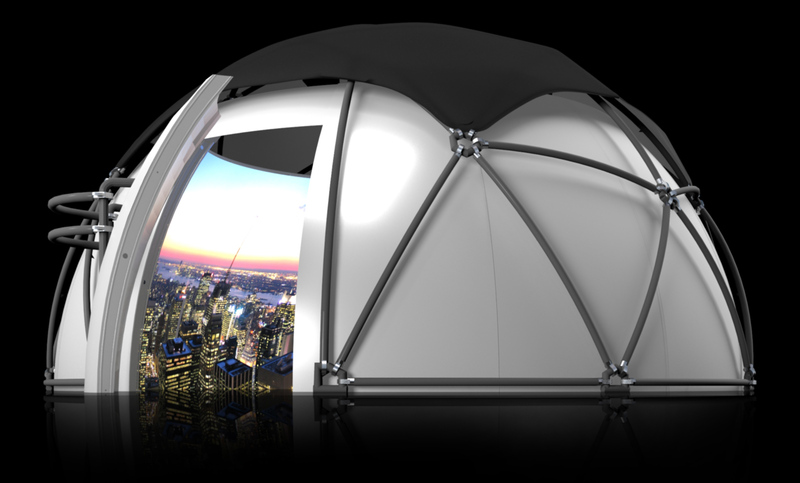 Igloo was deliberately designed as a far more affordable solution, using commonly available components – so a fully-equipped Igloo will cost a fraction of that price. You can have a temporary facility, or a permanent space (that can double as a visualisation platform and a well-equipped meeting room). You can even install an Igloo on-site, enabling you to provide updates to clients, and allowing project managers to give contractors the tightest possible briefs.